That’s right! Gluten-free cookbook giveaway happening now! 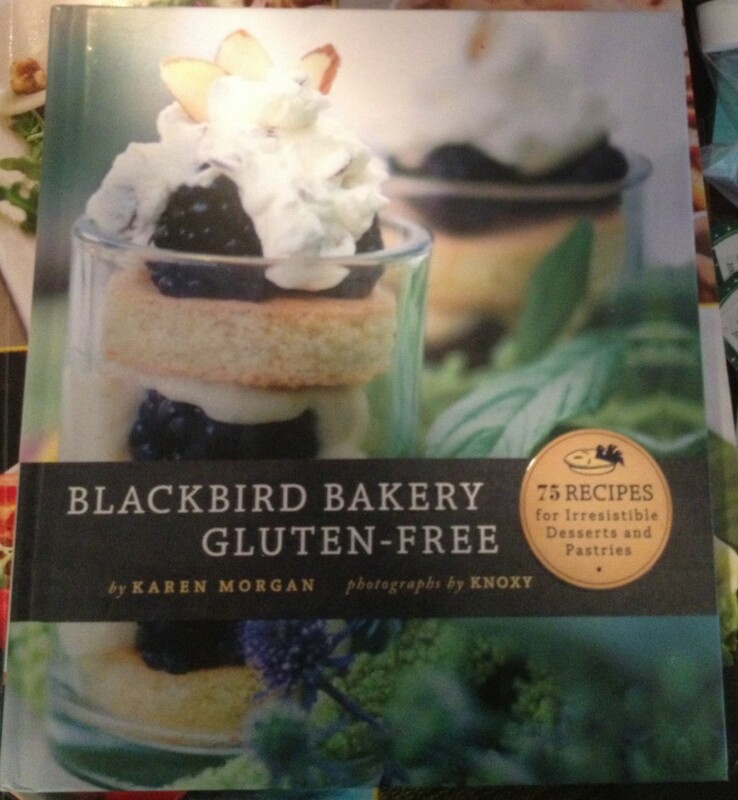 Blackbird Bakery’s Gluten-Free cookbook by Karen Morgan is one of my favorites. If the pictures inside don’t make your mouth water than the smell in your kitchen will! This giveaway is only open to those of you living in the US due to shipping. Good luck to you all!!! Giveaway end next friday so get as many chances to win as possible. If the inside is half as good as the cover, I’m sold. Hey Miranda is there a recipe for Blackbird pie? And I just have to have the blackberry shortcake on the cover! Would love to win this cookbook! WOW! This cookbook looks amazing!! This looks like a wonderful cookbook. Thank you for the giveaway. Hello, wanted to let you know I love your recipes and web site. You are great and thanks for all the wonderful information. oh! I’ve read some of her recipes on her blog. They look fantastic. I bet the book is even better. Enter me to win please! Thanks for the giveaway! I would love to have this book of Gluten Free recipes. Desserts are always the biggest challenge! I have been gluten free for over three years and still do not have a good pie crust recipe! Hey everyone a winner was chosen. Thanks for participating!!!! Be sure to check back soon for the next giveaway happening this coming week!!! !